contact us with any questions you may have regarding your sound requirements or this site. If you find a cheaper price on any item please let us know. 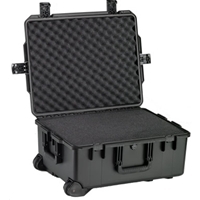 Storm Case’s Storm Trak® series boasts uniquely rugged, yet lightweight, telescoping handles that lock in place plus rugged in-line wheels for ease of transport (available in a wide range of sizes). Storm Cases are more than just watertight, padlockable and made in the USA, they’re also Unconditionally Guaranteed for Life. 24.6 x 19.7 x 11.7 in. 22.0 x 17.0 x 10.0 in.